Water is always trying to get to sea level. The higher up it is the more gravitational energy the water has and so using this it cuts down through the rock more as it has more kinetic energy. This energy is what enables rivers to carve out magnificent landforms on their way to the sea. However, this would mean that the land would be worn away quickly but due to subterranean upthrust, landmass is still being pushed up meaning land is never worn away by the rain. As there is less kinetic energy closer to sea level there is less erosion and so the land levels off. 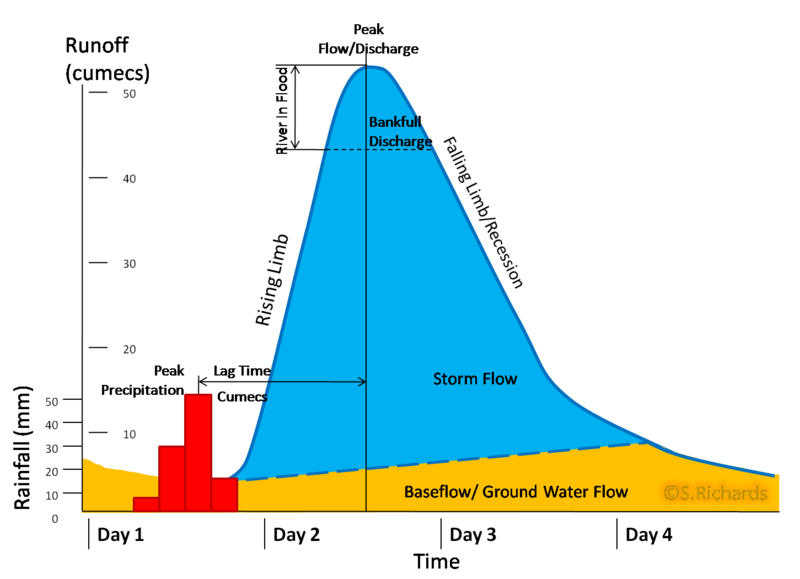 This can be shown by the long profile which shows how the river flows through the ground. 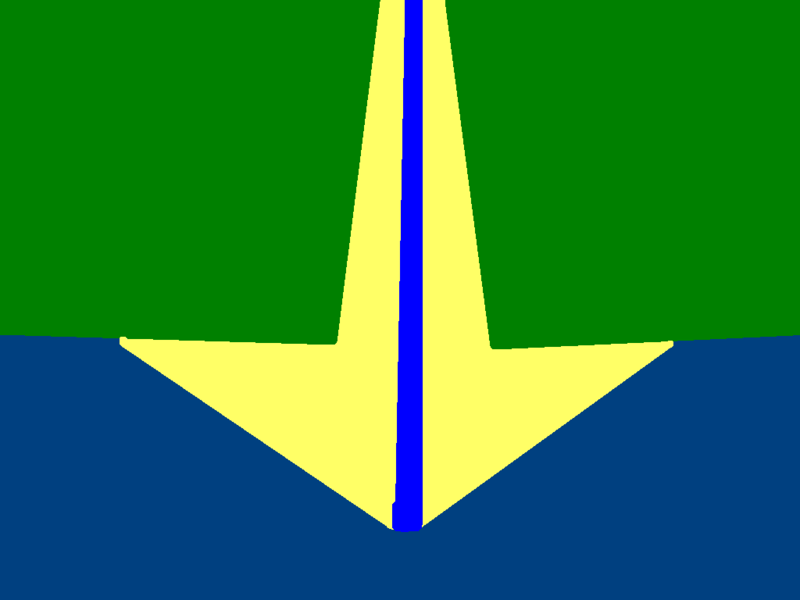 The cross profile shows the type of path the river takes to the sea showing meanders for example. 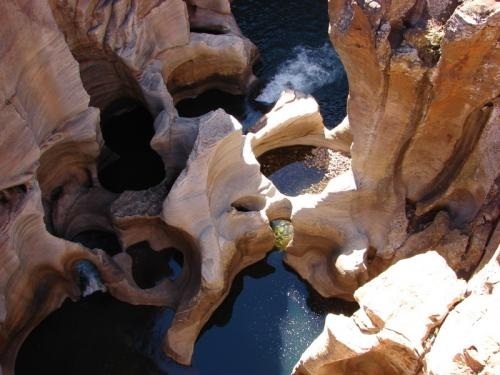 Gorge (Canyon) - Formed when a waterfall cuts back through a layer of hard rock creating a vertical sided valley. It can also be formed by hydraulic action splitting a gorge into the earth through the rock. They can also be formed when there is an increase in subterranean upthrust causing the river to cut down more severely like at the Grand Canyon. Potholes - A smooth round hole on the channel floor. This is caused by dips in a hard rock floor being eroded away by abrasion. 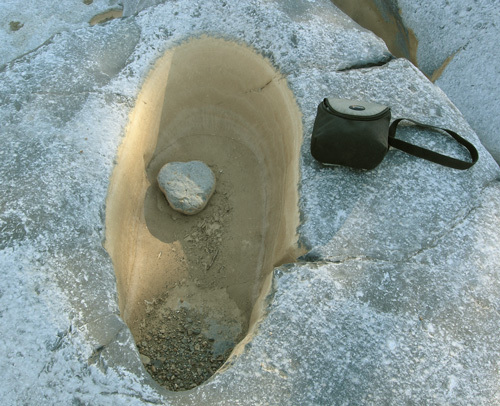 Smaller rocks get into these dips and eventually start acting like a drill, boring a hole into the floor by scratching away rock from the surface. The drilling power is so powerful that they drill into the floor creating gorges themselves. Interlocking spurs - Valleys jutting out as the river meanders. Due to there being more vertical erosion the river creates v shaped valleys but the river still meanders; when looking at the cross profile, where the river meanders the valley sides jut in and out of each other like a zip creating interlocking spurs. Waterfalls - A sudden step in the long profile of a river where the river falls vertically. This happens when the river meets harder rock and due to there being a difference in erosion speed the softer rock gets eroded down quicker revealing the harder rock. Over time the waterfall will retreat as the harder rock get eroded away. 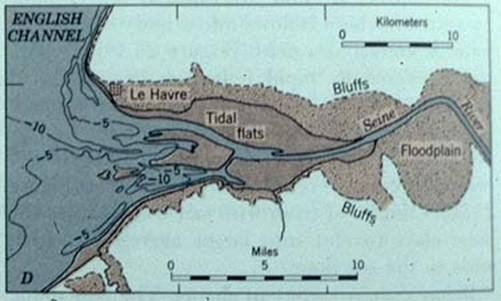 Rapids - Areas of disturbed/turbulent water by harder rock in the channel or by an increase in gradient. When there is a series of hard and soft rock creating obstacles for the water making the water turbulent as it hits a series of rocks in the way. Knickpoint - The point hard rock finishes and meets soft rock. This is the point a waterfall is formed. There can be a series of knickpoints creating steps in the river. Tor - Round granite boulder left behind when softer rock is eroded from around it. Scree slopes - Loose material on the side of a valley. In the lower course there is more lateral erosion and so there are more depositional landforms as the river s carrying less energy. This means the river lies over the land more in the lower course rather than cutting into it. 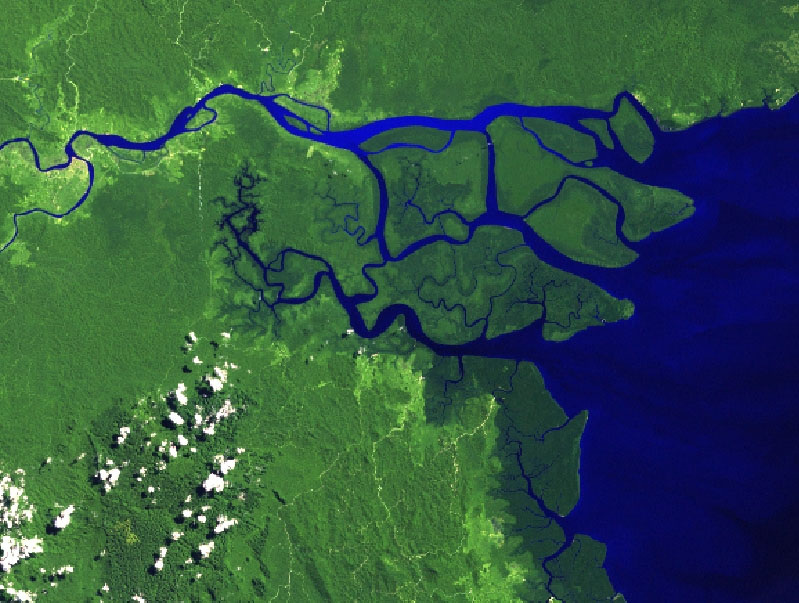 Meanders - Bends in the rivers cross profile. Created because the river is moving through the land that will create the least amount of friction. 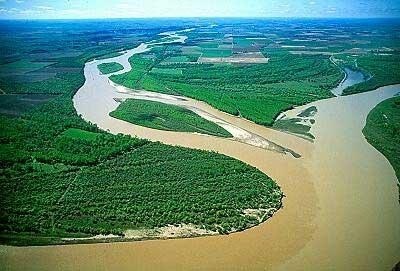 Ox-bow lake - This occurs when meanders are straight lined leaving a curved lake lying beside the river channel. 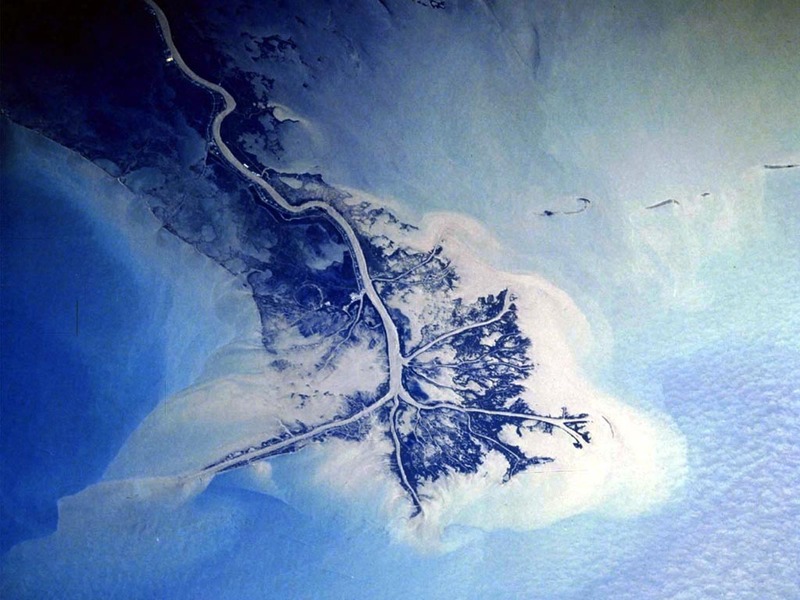 Delta - Areas of sediment at the mouth of the river. This happens because the river suddenly slows down as it hits a slower-moving body of water. It creates four types - Cuspate, Arcuate, Bird's foot (Lobate) and Estuarine. 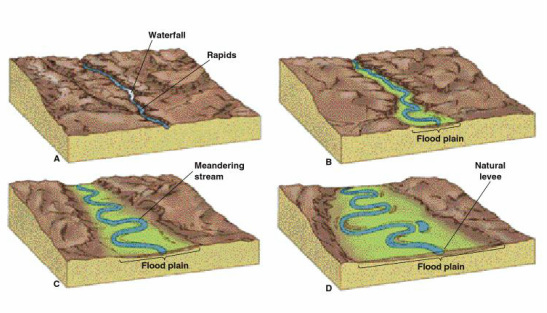 Braiding - When the velocity of the river drops too low the river deposits more material than it transports - this means that the river bed becomes overloaded with sediment and so the river thins out traveling in a random pattern on separate paths. Sometimes leaving temporary islands called braid bars or chars. 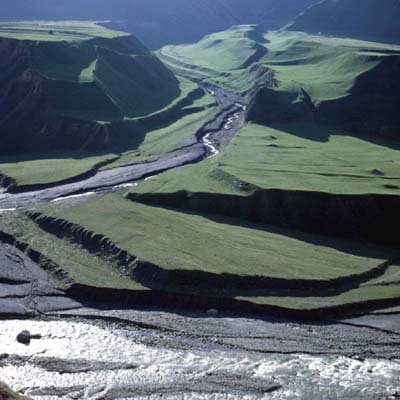 Levees - A wall or mound that lines the river edge. 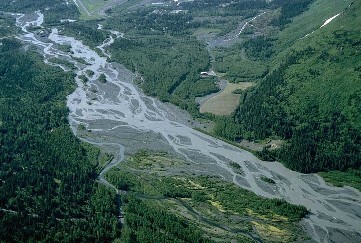 Naturally occurs by deposition by the river when it floods. 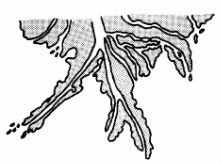 Incised Meanders - Meanders that have steep sides. 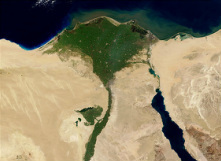 This occurs when there is a rise in the land causing the river to cut into the land more as it gains more kinetic energy as it's being risen further above sea level. Rejuvenation - When the sea level drops in relation to the land the river gains more kinetic energy and so has more vertical erosion. This means that the river starts to act like it would in the upper course creating a gorge or valley. The sea level drops ether because of the land rising (isostatic) or the sea level dropping (eusostatic).